For many years, the Netherlands has successfully managed a tax policy to attract highly skilled international workers, which is referred to as the 30% rule. The 30% ruling is determined on a case-by-case basis and ensures that the beneficiaries satisfy the specified criteria. When the necessary conditions are met, the policy allows the employer to exempt 30% of the gross salary from the calculations of Dutch payroll tax. The tax policy is considered “compensation for expenses that a foreign employee experiences when working outside their home country”. The effect of this is to reduce the marginal rate of tax, and increases the net pay by between 15% - 25%. The Netherlands has historically low levels of unemployment and the government is seeking to develop their knowledge economy. These factors make it important for the Dutch economy to attract international talent to the Netherlands. There are around 60, 000 expats in the Netherlands who benefit from this ruling. In 2017 the Dutch had a general election. The results were fractured, and the far right party, the PVV of Geert Wilders, obtained the second highest amount of votes. None of the other parties were prepared to work with the PVV, so in order to obtain a majority without including the second largest party, a big group of parties with different agendas had to form a coalition. In order to form this coalition, compromises were made and the feeling that I get is that successes on party specific agendas were handed out like treats to secure the signatures on the coalition agreement, without due regard for the impact on Dutch society. Staying in power was apparently more important than the good of the country. Bargaining around the 30% ruling and dividend tax was a classic case of political piggery. Perhaps this is a cynical view, I am not filled with confidence in political leaders at the moment, anywhere on the planet. In April 2018, the Cabinet sent a letter to Dutch Parliament which stated that they have the intention to limit the duration of the 30% rule from 8 years to 5 years, effective from 1 January 2019, for both new and current cases. As such, starting January 2019, the maximum term length will be reduced from 8 years to 5 years for all recipients of the 30% tax rule. It is debatable whether the ruling should be shortened at all. The report that they based this decision on only referred to the cost, but ignored the benefits. By their nature, these are skilled individuals who contribute to the Dutch economy and also transfer skills to the wider workforce. These are not parasites living off the Dutch welfare state. I would say that they are net contributors. In most cases, expats derive very little from the Dutch welfare system, paying all of their own costs. The skilled expats come to the Netherlands with an expensive education, that was paid for . Once here, it is still a saving for the Netherlands as expats usually have lower healthcare costs (younger than the Dutch average), and they rarely claim (unemployment) benefits, moving on to another country rather than claiming unemployment. Most of them are also committed to integrating into Dutch society. One should also not underestimate the costs of setting up a home in a new country. The expat starts from scratch, as if they were a 20 year old who just completed their studies, having to buy even the kettle. Not every expat comes through on a luxurious, all-costs covered deal from a multi-national. For many of them, it is a personal investment into the future of their families. There is a figure touted of a cost of 900 million for the whole scheme, and when proposing this change to 5 years, they claim that it would save around 284 million. This is a rubbish number. It seems as if they just took a simple fraction of 3/8 multiplied by the total annual cost. This ignores the fact that only 20% of expats use it for more than 5 years. There have already been some indications that incorrect figures were used. If I calculate it factoring in the amount of people using the ruling, I get closer to 50 million. This is a pittance compared to the budget and the benefits that this scheme brings. In their own study they said that only 20% of people use it for more than 5 years. This period between 6 - 8 years should therefore be a low priority for policy, not one burning to be changed immediately. Any savings also depend on who will replace those who leave. If new expats come on a 5 year rule to replace those who left because they don't receive a benefit in years 6 - 8 any longer, and the number of expats using the ruling stays at the same number, then the saving is zero. The only impact will be that the pool of expats has a shorter tenure, which is not efficient for any of the parties. If they had changed the scheme to 5 years for all new rulings, many would have disagreed with the decision, but it would have been generally accepted by business and society. What made this change completely unacceptable, is the proposal to apply it retrospectively. People who arrived here a few years ago and received a ruling saying that the length would be 8 years, will have this changed to 5 years. For many, it will suddenly fall away on January 2019, years before the expected date. Financial devastation served up on a plate to innocent hard-working people by the Dutch government. Anyone familiar with tax will know that retrospective changes to tax law are taboo, as it creates a climate of uncertainty which puts off investment and long term planning. Even for this particular tax, there was a legal precedent of transition measures. The ruling was previously changed from 10 years to 8 years, and there was a transition measure applied to those who already had it. This creates a natural expectation that similar measures will apply to any later changes. By refusing to apply a transition measure, this new government is sending a clear message to the expats – we do not value you and we want you to go. Some of the expats are experiencing this as sheer xenophobia and are deeply upset by this, as they loved the Netherlands and were doing all that they could to settle into Dutch society and now they get an implied message to leave. What was the reaction to this? It was massive and unanimous – the government can make the change but absolutely should not apply it retrospectively. PwC, tax advisors, legal firms, trade unions, the American and German chamber of commerce, they all offered opinions on this with the same message. Major technology companies such as booking.com and TomTom explained how this would be traumatic and disruptive for their staff, and make it difficult for these world class companies to compete internationally. Universities explained how it would make it impossible for them to fill their roster of professors. Even the trade union that would like the ruling to be completely abolished, insists on transition measures for those who have the ruling in place. But it is not just employers and unions that have come out vigorously – recipients themselves have joined forces in a grassroots group referred to as the United Expats of the Netherlands. Seemingly overnight, this group of over 70, 000 members has put together a professional and sophisticated response to this proposal. There is a website (www.adealisadeal.nl) along with an emotional video. They have led the way through news interviews, industry engagement, an organized rally, and a petition with over 30,000 signatures submitted to Parliament. Their efforts are impressive, both in size and scope, and have given voice to this issue. I have been flabbergasted at the sheer incompetence of the process, driven by Mr. Menno Snel. This is a man with limited political experience, who was at the Water Board before he was brought in to wreak havoc in the Dutch economy. The original proposal was bad, but the way that he has dealt with the feedback from society has been far worse. Everyone makes mistakes, the right way to deal with the response would have been to acknowledge the matters that were raised, thank everyone for the input, and then amend the proposal to be less damaging. The inverse has happened here. Instead of responding to the valid points that were raised, Snel has been pig-headed and stuck to his meaningless script. When major technology companies which are an important part of the economic growth of the Netherlands band together and the CEOs directly tell you that this threatens the continuity of their businesses, this is important information. You have to consider it, you cannot just ignore it because you want your dumb idea to become law. This is best illustrated through example. Below I have paraphrased from Dutch some of the statements in Snel's responses to various interested parties, and my reaction to this. - “There was no transition measure in the coalition agreement” – This is meaningless. The coalition agreement was reached between parties behind closed doors, before the response from society was received. You cannot ignore the information being presented to you on the need for a transition measure, solely because a bunch of ignorant politicians had not planned on having it. - “I am aware it would have consequences for expats staying more than 5 years” – It is chilling to understand his complete lack of compassion for destroying the lives of thousands of expat families who came to the Netherlands in good faith. These are productive members of society who contribute to the well-being of the whole population, yet Snel decides to treat them like this. - “We have given people 6 months’ notice to update affairs”- People bought houses on 30 year mortgages. How exactly does 6 months help them here? It is not like people can make a small trim to the household budget. They have lost on average 25% of their net pay. Who has that kind of buffer? Very few people. Most people are completely sunk now because of this change. If you sell a house a short time after buying it, it is almost certain that you will suffer ugly financial losses, apart from the stress and trauma. 6 months does not help them in any way and it is disingenious to claim that sufficient notice was given. - “People should take into account possible tax changes when making long term decisions” – How I interpret this comment, is that he is saying that people not should place any reliance on commitments from the Dutch government as they cannot be trusted. Surely there are people in the Dutch government who do not want to earn this insidious reputation? This goes against everything that people have come to expect from the logical and pragmatic Dutch government. These responses beggar belief. In a sane and intelligent world, he would be forced to resign. As an employee, I am devastated. 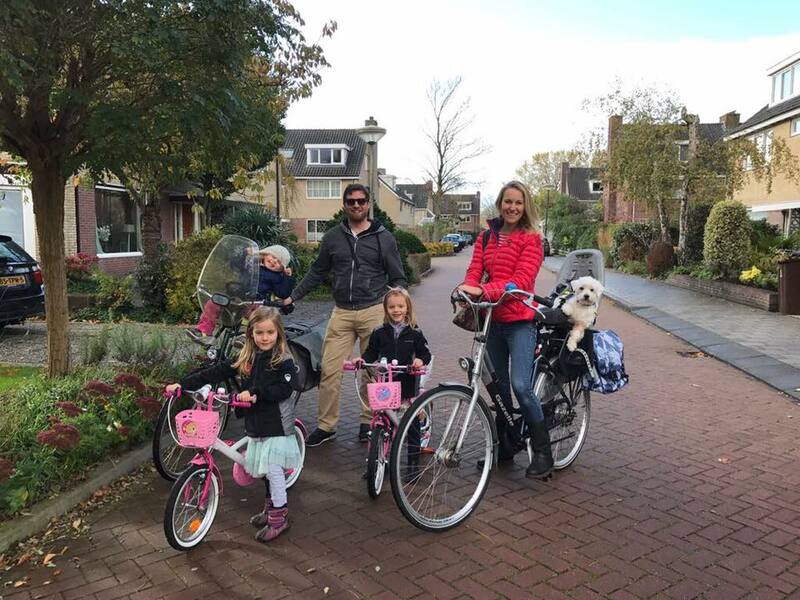 I brought my family here from another country, and made my kids learn Dutch in Dutch schools. Every one of our decisions was based on an 8 year plan. It is incredibly expensive moving here with a family when you pay for it yourself, especially when your home country has a weaker currency. I wiped out my life savings as many of us do, to make the investment. The first few years costs you everything you have, the next few years the costs stabilize, and many people plan to save in the last 3 years of the 8 years to prepare for when the ruling falls away. This is done in an orderly manner. If the ruling falls away prematurely, one is left unprepared. I will simply not be able to afford to continue to live here. The whole move here, the last 5 years, will all have been a dreadful mistake. All this because I was lied to by a respectable country such as The Netherlands. Let us be clear, this has nothing to do with sound economic management. It just does not make sense to apply it retroactively. If they applied the change for new rulings as of January 2019, there would have been no resistance from business or society. Yet they insist on applying it to existing rulings, even though only 20% of expats are here after the first 5 years. This change is to address a xenophobic element in the new coalition government. Again, I do not think that this is a fair portrayal of Dutch society. The political leaders are not aligned with the Dutch people in this action. Expats have a shared experience of being welcomed by their Dutch colleagues. In fact, the Netherlands has a reputation for being one of the easiest countries for an international worker to settle in, once you can handle the direct approach in the workplace, which is a trait that I admire and was part of what drew me here. How can a government knowingly take an action that reduces trust in them, and hurts the ability of their economy to be competitive? One would really not expect this level of stupidity and self-harm in Dutch politics. There is still time to change it, but I think this is the time for international pressure to be put on those who are pushing for this adjustment. What worries me is that I have not seen a single intelligent response to any of the points raised. Snel just reads from the same script that does not answer any of the questions. If the changes go through as they are suggesting, I think I would leave the country, out of principle. If a state has so little respect for the commitments that they made to me, and on the basis of which I changed the life of my whole family, then I want nothing to do with them. If the government insists on ignoring the warnings from business, professionals, trade unions and the expats themselves, then they have earned any negative repercussions that this may bring about.